White’s has recently appointed Sean Kane to the role of Agri Supply Chain Coordinator. The new role will be responsible for delivering improved oat quality and grower yield. The appointment will also crucially see further investment directed into research and development, including farm trials and surveys, professional guidance on new seed varieties and mixes, and be responsible for disseminating current oat research from competent sources. White’s, under the guidance and direction of Agronomy Consultant Raymond Hilman, has invested in its oat agronomy programme over the past four years, which has seen farmers in both NI and GB working in close partnership with a clear focus on improving oat quality and the long term sustainability of oat production within the business. 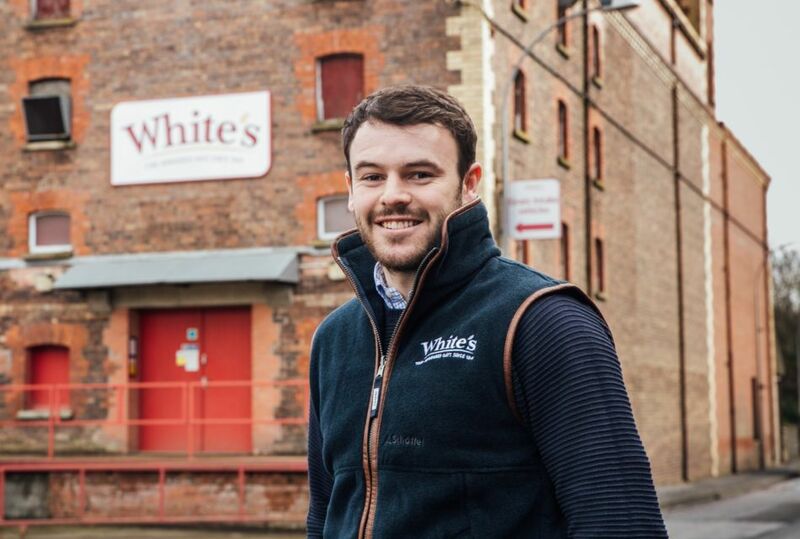 This new appointment will secure the continued collaboration between White’s and its growers as it seeks to drive forward its commitment in its supply chain from farm to mill and firmly position itself as a key player in the Agri-Food sector. Speaking on his new appointment, Sean said ‘’I was attracted first to the diversity of the role, combining office and field work but I’ve also had a keen interest in research and how it can be applied to support and improve farm performance. Many may not know, but Oats are optimally suited to the Northern Irish climate and I welcome the opportunity to work with our local farmers in achieving optimum performance. On a more personal note, as an avid sports person I’m keenly aware of the link between good nutrition and performance. Oats have lots of nutritional and health benefits and its exciting for me to be working with a company like White’s as I feel oats have such a positive and sustainable future as the benefits become more well-known’’. James Mathers, General Manager of White’s Oats comments ‘’White’s has invested in its supply chain, production facilities, consumer-led product innovation but most importantly in its people. We continue to invest in young talent whether through conventional recruitment channels or through our placement programme. Graduates can bring a fresh, innovative and forward thinking outlook which is instrumental in meeting our future business strategic objectives’’. Having recently graduated from Queens University, Belfast with a degree in Agricultural Technology, Sean will continue his studies through White’s, completing BASIS and FACTS courses to further enhance the agronomy support and advice he can offer to White’s farmers. With a family background firmly rooted in farming, Sean will apply a hands on approach to the role, with White’s spring planting no doubt top of his agenda. This year’s spring planting has been particularly challenging for our farmers with such a prolonged wet, cold spring delaying planting and other fieldwork. While the recent spell of warm weather is to be welcomed, we will be closely monitoring the crops to see how they perform.